In this two-part cake making tutorial, learn how to bake & essemble a beautiful pillow cake! A pillow cake is a neat idea guaranteed to wow any party. 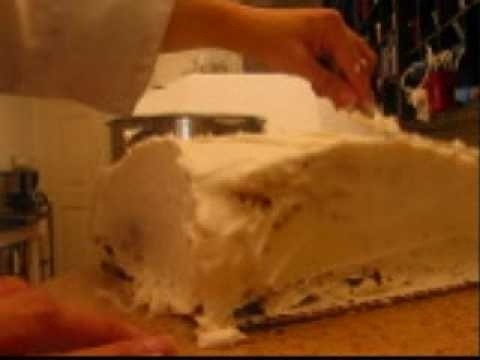 This cake is two layers and is all cake, as opposed to a layer of cake & a layer of frosting. Learn how to build the cake from scratch and later, how to add the gold pillow trim & tassle detail... A pillow fit for a king!